As one of the leading providers of residential and commercial appraiser services in the Humble market area, our certified appraisers can help you with valuations for both private and lending use. We aim to deliver an appraisal report that exceeds our clients needs and is delivered with an industry leading turn time. We have some of the lowest appraisal costs in the area and we take pride in delivering reports faster than the typical appraisers. 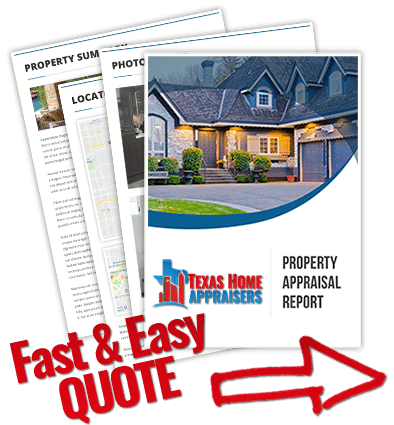 If you require a public real estate appraiser in Houston Texas to provide a quick and friendly appraisal for your home, give us a call today or use the short web quote form. Market value is often defined in real estate as the completion of a sale whereby both parties are motivated and well informed and the property has had reasonable exposure to the market. The FNMA URAR 1004, commonly associated with “Fannie Mae” loans, has additional reporting requirements that have more significance for the lending process than with the actual dollar market value. The most fundamental way to determine market value is to compare the subject property to recently sold homes in a given neighborhood. The lenders report has many additional arbitrary requirements which have little bearing on the value found by a report needed for many other purposes. Census data and SMSA information are two examples of arbitrary data that only serve to help the lender category their loans. Unlike lender forms, our general purpose forms were designed to be straightforward and easy to digest even for those unfamiliar with real estate jargon. How do appraisers find information that helps support an appraisal? The extent of the appraiser’s data collection, analysis, and reporting is determined by the complexity of the appraisal assignment. For instance, if the subject property’s measurements are widely different from local records, the appraiser might ask for blueprints, a survey, or additional information from a realtor or homeowner to support his analysis. The quality and reliability of each piece of information is considered by the appraiser. The appraiser can also use data provided by a 3rd party so long as that data is directly applicable to appraisal, reliable and verifiable. Absolutely not! Those sites are not a reliable source of data. Appraisers pull their data from MLS. If a sale happened off the MLS, an appraiser can still use it so long as they are provided verifiable sales information. Because of the inaccuracy and misleading data provided by online valuation sites, appraisers usually do not recommend anyone use them for anything other than ballpark numbers. We understand why folks use them and if we had to pick one we like Realtor.com as it’s the most reliable information.